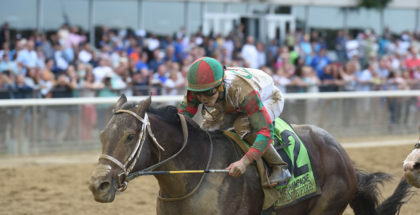 Home » Horses We Love » Will a Huge Longshot Win The Travers? Will a Huge Longshot Win The Travers? 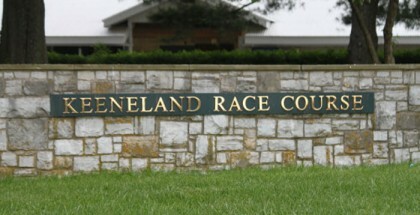 January 1 is the official birthdate of all thoroughbred racehorses; January 2 is the day many people claim they liked the future Kentucky Derby champ; and January 3 is when some pundits proclaim that the (future) 3-year-old crop is “weak” based on a variety of factors proven to be just slightly more accurate than the old “eenie, meenie, miney, moe” method. The truth is assessing the merits of an entire generation of thoroughbreds based on the Triple Crown races and preps is like evaluating an NFL Draft based on the results of that year’s Combine — which is why races like Saturday’s Travers Stakes (G1) at Saratoga have such special meaning. At this point, the horses are starting to sort themselves out. 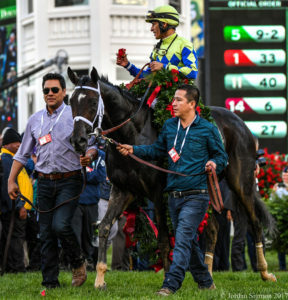 Early season stars like Always Dreaming, who won four races a row (including the Grade 1 Kentucky Derby) and Cloud Computing, who annexed the Preakness (G1), no longer look like the best 3-year-olds in training. Instead, unheralded animals like Irap, who was a 41-1 also-ran in the Derby, and Good Samaritan, who ran second in the American Turf (G2) on the Derby undercard, have come to the fore. All four of those steeds are scheduled to compete in the Travers, along with another horse that I think could have a major impact on the sophomore scene — Gunnevera. After a dominant performance in the Fountain of Youth (G2), Gunnevera was made the even-odds favorite in the Florida Derby, but faltered against the aforementioned Always Dreaming. 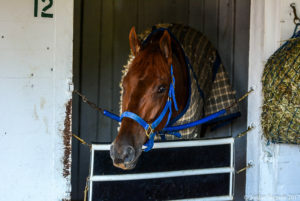 Two ho-hum efforts in the Kentucky Derby and Preakness followed before the son of Dialed In was given a much-needed vacation. He came back reinvigorated, recording a career-best +5 late speed ration (my own measurement of late energy disbursement) in a facile win against lesser at Gulfstream Park. Granted, the Antonio Sano trainee will have to prove that he can uncork a similar move against (far) superior competition on Saturday, but at 20-1 on the morning line, I’m willing to give him the benefit of the doubt. Of course, one of the subplots of this year’s Mid-Summer Derby is the status of the frontrunners — mainly, the fact that, outside of Always Dreaming, there aren’t any. 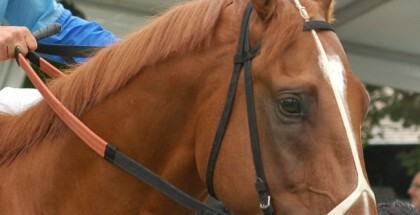 Obviously, this makes the Derby winner and any other ambitious entrant — Cloud Computing? West Coast? Irap? — worth considering. To get your FREE handicapping reports, including a workout report, for all the great races — including SIX Grade I events—at Saratoga on Saturday, click HERE.